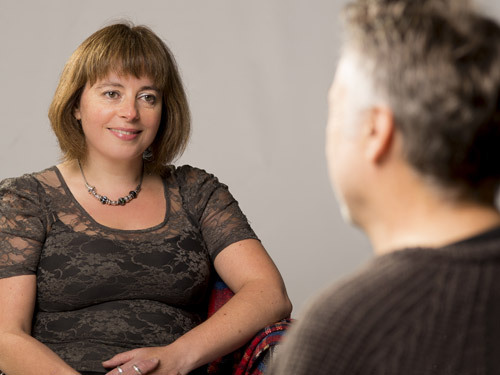 Emma Dunn: psychotherapy, counselling & therapy for existential problems, Halifax. I provide counselling for those who are unhappy, depressed, anxious and stressed. Sleep problems, these may be addressed by following a calming routine for an hour before you intend going to bed. Racing thoughts, these can be ‘parked’ until tomorrow. Write them down as a list that you can look at the following day. Find yourself eating more or less than usual. Friends and family commenting on your increased reliance on drinking or smoking or exercise. Extremes of emotion, crying or getting angry at the slightest thing. These types of issues may be resolved by short term counselling, having time to offload and reflect in the safety of a counselling relationship. I provide psychotherapy for those with disordered eating, or who self harm. Obesity, anorexia nervosa and bulimia nervosa are medical diagnoses. They are the extreme results of disordered eating, and the latter two need appropriate multidisciplinary team working if your physical health is significantly affected. I am able to provide counselling to those who are aware that their eating habits are not appropriate, and would like to understand how to eat a more varied and socially accepted diet. Our bodies and minds are connected, if not completely joined. It is understandable therefore that sometimes our feelings and internal turmoil may be expressed physically. You may be aware that you treat your body badly, but it seems to be the only way to cope with the way you feel. You may have a relationship with food that is the most important relationship in your life. As an integrative counsellor I will use a model that suits you and your current understanding of your eating concerns. I also will incorporate into our counselling ideas about how you feel you fit into the world and your roles and expectations. I am a qualified dietitian and can answer or correct any misunderstandings you might have about food, if you want me to. I will not be doing this automatically as my role for you is that of a counsellor not a dietitian. I provide psychotherapy for longer term work which often involves unravelling how the past affects you now. Psychotherapy can allow us to gently unravel how your past may still be influencing your present. 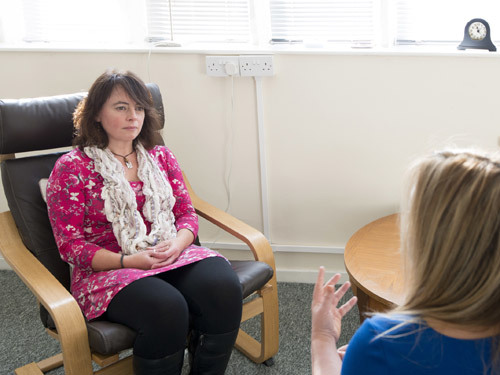 You may be aware that the reason for seeking counselling is related to something that happened in your past, for example bullying, abuse (mental, physical or sexual), and family trauma such as divorce. Exploring these can be hard. You may not have such a clear understanding of your past but are aware that your behaviours follow patterns that are not always useful for example, you get angry with the wrong people, or you form relationships which fail, you feel sad when you should be happy. Longer term psychotherapy can help you understand why these behaviours happen, and often when we understand this and notice it in our lives our behaviours slowly change. I have specialist knowledge to provide counselling for those with a medical condition and their carers. Having a diagnosis of a long term medical condition such as diabetes, renal disease, liver disease, multiple sclerosis, or rheumatoid arthritis can be devastating. The prevalence of depression amongst people with a long term medical condition has been identified by NICE but currently there are few resources in the NHS to help. I have a unique experience and understanding of such conditions and this enables me to provide insight into my work with you. You may need to follow a special diet for your medical condition and find yourself ‘cheating’ when you do not want to. I can explore why this might be happening, whilst also enabling you to keep safe and limit the harm you might cause. I work with existential problems. Spiritual – How you relate to the unknown, sometimes through religion, often this is represented by your value system.